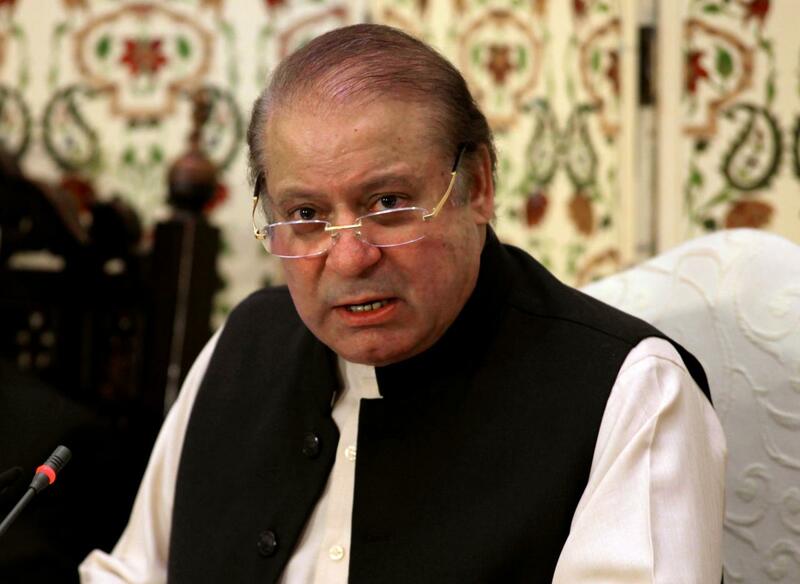 ISLAMABAD: Amid growing criticism from various circles, the federal cabinet on Wednesday retracted its earlier decision to hold trial of former premier Nawaz Sharif inside jail and allowed his ‘open trial’ in the two corruption references pending with an accountability court. Sharif, his daughter Maryam and son-in-law Captain (retd) Safdar are already convicted in the Avenfield reference, one of the three corruption references filed by NAB in line with the apex court’s July 28, 2017 verdict in Panama Papers case, and are serving their respective sentences in Rawalpindi’s Adiala prison. In Avenfield case, the accountability court on July 6 sentenced Sharif to 10-year rigorous imprisonment and eight million pound penalty, Maryam to seven-year rigorous imprisonment and two million pound penalty and Safdar to two-year rigorous imprisonment. After Sharif’s return from London on July 13, NAB wrote a letter to the government requesting it to allow holding Sharif’s further trial in Adiala Jail, citing security concerns in the light of Section 16 (b) of the National Accountability Ordinance (NAO) 1999. This section reads, “The court shall sit at such place or places as the (federal) government may, by order, specify in this behalf.” Entertaining the request, the federal government had allowed the trial in Adiala Jail, a decision that was withdrawn in Wednesday cabinet huddle. “We had decided to entertain the NAB’s request due to security reasons on one-off basis to hold one hearing of the trial in Adiala Jail since he (Sharif) landed in Pakistan on July 13 and the next day he was scheduled to appear before accountability court. There were security issues,” said Information Minister Ali Zafar while briefing the journalists after the cabinet meeting. “But in view of the Article 10-A of the Constitution that guarantees fair trial, the cabinet today decided to allow Sharif’s open trial in the pending references. The proceedings would now be held as per normal routine unless there is a serious security threat to be intimated by Interior Ministry,” he added. The information minister said during the meeting the cabinet decided to hold a meeting on law and order soon and take onboard the political parties on security issues and for the implementation of the Election Commission of Pakistan’s (ECP) code of conduct for general elections scheduled on July 25. Ali Zafar said ‘policy decisions’ in line with Pakistan’s commitments under the Financial Action Task Force (FATF) have also been taken by the cabinet. However, he did not elaborate. The meeting also discussed the issues that emerged after merger of the Federally Administered Tribal Areas (Fata) with Khyber Paktunkhwa including legal, administrative, economic and related matters. “An ordinance regarding legal framework in Fata would soon be introduced. No additional taxes would be imposed on former Fata and the Provincially Administered Tribal Areas (Pata) and status quo would be maintained in this regard,” the minister said. A press release issued after the moot from Prime Minister’s Office said Secretary Interior Yousaf Naseem Khokhar briefed the meeting on measures being taken to complement provincial governments in ensuring security and law and order during general election 2018. These measures include deployment of over 42,000 civil armed forces, information sharing with the provincial governments through the National Counter Terrorism Authority (Nacta), provision of aviation support and technical assistance by the Federal Investigation Agency (FIA) and the National Database and Registration Authority (NADRA). The cabinet also approved various measures proposed by the Finance Division to facilitate implementation of an action plan to fulfill country’s commitment towards anti-money laundering and countering terror-financing, the statement said. The cabinet endorsed a proposal for contributions by the employees of the federal government in the fund formed by the Supreme Court of Pakistan for construction of Diamer-Bhasha and Mohmand Dam. According to the proposal, two-day salary of officers from grade 17-22 and one-day salary of officials from grade 1-16 will be donated for the cause. The cabinet members will contribute their one-month’s salary to the fund. The cabinet also appointed of Muhammad Saleem as judge of Banking Court-II, Lahore for a period of three-year. It approved ordinance for re-validation of Competitive Examination Rules 2016 and 2017 and a proposal to assign additional charge of the top post at the Port Qasim Authority to Asad Rafi Chandna.